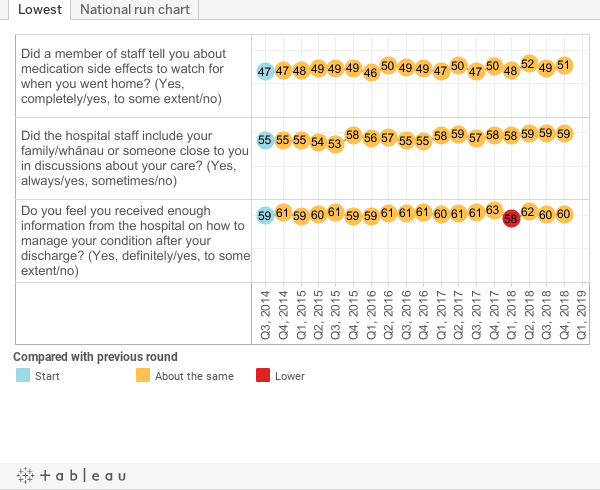 Individual DHB survey results are displayed using interactive Tableau charts. If they do not display correctly or you have trouble reading the results, please contact Ying Li. If this is your first time using Tableau, please read the instructions below before proceeding. Use the drop-down box on the homepage below to access a list of DHBs. Select your DHB, keeping New Zealand as the second option – do not use the drop-down box to compare DHBs.  Use the tabs along the top to navigate through each domain. Return to the homepage to select a different DHB to compare against the New Zealand average. Results can be downloaded as a PDF by clicking the top right 'Download Workbook' button on this page. National results for the four domains (communication, partnership, coordination, and physical and emotional needs) have remained broadly consistent across all 18 survey rounds. There was little variation between district health boards (DHBs). The national response rate was consistent with previous rounds at 23 percent. We have undertaken weighting, as before, in line with the methodology and procedure document. Nationally, two of the lowest scoring questions have shown a significant improvement since the survey began (as shown in figure 3). Compared with quarter 3, 2018, scores for quarter 4, 2018 remained consistent for all domains. The physical and emotional needs domain rated the highest in all survey rounds. It includes the ‘humanitarian’ questions shown in Figure 2, which continuously score highest. The three questions shown in Figure 3 continuously scored the lowest of all the survey questions. As can be seen in Figure 3, the scores for the question ‘Did the hospital staff include your family/whānau or someone close to you in discussions about your care?’ have improved significantly since quarter 1, 2017. The median has increased from 55.2 to 58.5 percent. 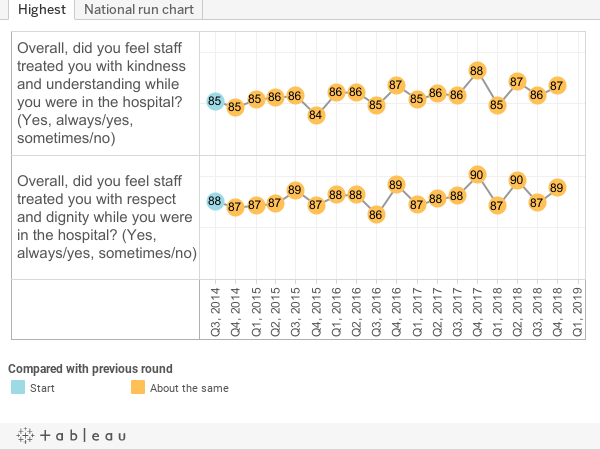 The scores for the question ‘Do you feel you received enough information from the hospital on how to manage your condition after your discharge?’ have also improved since quarter 2, 2016. The median has increased from 59.5 to 60.8 percent. Apart from quarter 1, 2018, this increase has been sustained. The national median for the question “Did the hospital staff include your family/whānau or someone close to you in discussions about your care?” had a statistically significant shift upwards from 55.4 to 58.2 in Q1 2017. Fifteen of the twenty DHBs show this shift, which indicates that the change has been widespread across DHBs. The national response rate was consistent with previous rounds at 24 percent. Figure 4 shows the breakdown of response rates by survey distribution method. Postal surveys have a high processing cost, so we encourage DHBs to undertake surveys via email or SMS where possible. The response rate for email is larger than the rate for postal surveys, in quarter 2018, for only the second time. Although respondents were reasonably representative of all ages and genders there remain areas of under and over representation. Younger people tend to be under-represented, while those between 65–74 were over-represented. NZ Europeans tend to be over-represented while other ethnicities were under-represented. National patient experience survey: Results for patients treated in November 2018 (850KB, PDF).